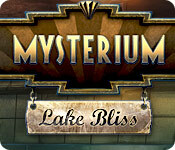 Mysterium™: Lake Bliss is rated 3.9 out of 5 by 31. Rated 5 out of 5 by caz2701 from EXCELLENT GAME this game had me hooked from the beginning. I love this type of animated game. The hint button was very quick to charge (I played on regular mode). The grafix were lovely. I can't really comment about the sound as I play with it off. Over all a brill game well worth the money. Rated 5 out of 5 by pennmom36 from Not So Peaceful Lake! I loved the Collector's Edition and this version hasn't changed my mind. Something mysterious and deadly is happening, men are being lured to their death's by someone, something in the lake! I think you will agree that the graphics are stunning and the story has backbone. I was amazed that there were so many mini games, some of them I have never played before. I liked the mini game where you had to open up locks on a suitcase by adjusting 4 spring loaded buttons to the correct positions, but if you set any of the buttons incorrectly all 4 would reset. The mini games are list finds and after all items have been found the final item to find requires an interaction such as finding matches, lighting a candle which burns through a rope and allows a zipper pull to fall off. Although there are no extras in this Standard Edition it is still a great game especially for the price, enjoy! Rated 4 out of 5 by Kimmycoo from Music of Angels I soooo loved the beautiful music in this game. It brought me to tears as did the sometimes sad story line. I really liked this game. Took about 4 hours to beat. Had challenging mini games and the HOS were just basic though a few repeated twice. The scenes were beautiful, the art work was very nicely done. The voice-overs were brilliantly done. Rated 4 out of 5 by BooksandGameFan from He!! hath no fury like a women scorned I just finished this game and I'm very glad I purchased it. I truly enjoyed playing it. It was a fun and entertaining way to pass about 5 hours maybe little longer I didn't play straight through. It took a bit for me to get into the game but once I did I really really did enjoy it! Voices sounded great, music was nice, puzzles were fun and the hidden object scenes were ok. Not the best but not the worst game I've ever played. I recommend you buy if you have a free game credit or extra good sales day! Rated 4 out of 5 by SouthernGal820 from I liked it! I happened upon this game as a 2.99 special and played the trial and had to have it. The story was actually interesting to me (they usually aren't) and I was interested to see what had happened and how it would end. I liked the music, graphics were very good. I found some of the mini games to be challenging, I played in the hardest mode with no black bar lines, no skip and I believe no hints. You could change mode of play during the game which I had to do once to skip a mini game. Overall for me this was a very good game. Rated 4 out of 5 by BigTfromAV from Great Option For A Free Game! I had a few free game credits to use and I decided to try this one. I was well worth the free credit. It's a long game (didn't look at the Collector's Edition). There is an interactive map, which is great, although at times the "there's something to do here" detector didn't work. The story makes sense and it's a pretty game. It's a few years old, but fun. I liked it. Rated 4 out of 5 by SparkleGlow100 from Moonlit mystery The town of Lake Bliss looks very European and I’m guessing the game is set sometime mid -20th century. Disappearances and something/someone is creating havoc. ..Why? And what can you do about it Inspector? Lots of places to visit: all around town, a castle, a crypt and caves, all set around LAKE BLISS on a moonlit night. Very nice graphics and ambient sounds, HOPS and a mix of puzzles to play. Filled the whole screen. The hint button will take you where you need to go, and circle a specific “to be done,” but not which inventory item to use. The map can transport you and shows you active areas with an exclamation mark. You have a journal. The inventory can’t be locked and was particularly “jumpy” in this game, I think mainly because it was very sensitive to the cursor when I was trying to move backwards. Enjoyable ghostly game, but like many 3* or 4* games, it was one I had to play intermittently along-side other games. Rated 4 out of 5 by Little_Selkie from Angry Banshee Up Ahead! I was very hesitant buying this game because the CE got a lot of negative reviews, especially about the storyline and flow of the game which both are very important to me when I sit down to play a new game. After playing both the CE and SE, here are my thoughts about it. The most important thing to me in any game is the length. I played on the hard setting and finished the main gameplay in about 5-6 hours…so the length was decent, and I had no problem with that. The storyline itself was not half as bad as people made it sound; it wasn't so illogical that the plot made no sense, and I mean, it's a game about an underwater ghost…it's not going to hold itself against reality very well. I actually liked the banshee; her story was very sweet, the reason men were going missing was explained and it all fell into place very neatly. The ending was satisfying for the SE; a bit short and stilted but I thought it was wrapped up nicely. There really was nothing very new or exciting about the game; no new mini-games or different HOs but I did like the many characters in the game, and the actual area of the game was very big compared to many of the other games I have played. The game had a style and feel that mimicked the 'Final Cut' games….one thing that did bother me at first was the size of the arrow symbol in the game, when I played the HOs I would have to move the arrow because it would be blocking items but I did get used to it after a short time. I actually do recommend this game for anyone who likes the mermaid/ghost type stories, or to anyone who enjoyed the Final Cut series on here. It was fun and flowed well; had a nice size and length; and I had a fun time trying to stop a banshee and save a town in time for a wedding! Happy gaming, Big Fishies! Rated 4 out of 5 by PATinPNS from Pretty Darn Good Game This is posted after playing the entire game. I was reluctant to purchase this after just playing the Demo, but I'm glad I did. This game gave me several hours of fun, excitement and frustration, but isn't that why we play these silly things. I did enjoy playing. There were times I wondered, but after I got into it, the story, HIdden Objects and Mini games I really liked it and found it fun. The graphics are very good. Some were a bit cartoon in nature, but all in all they were very well done. 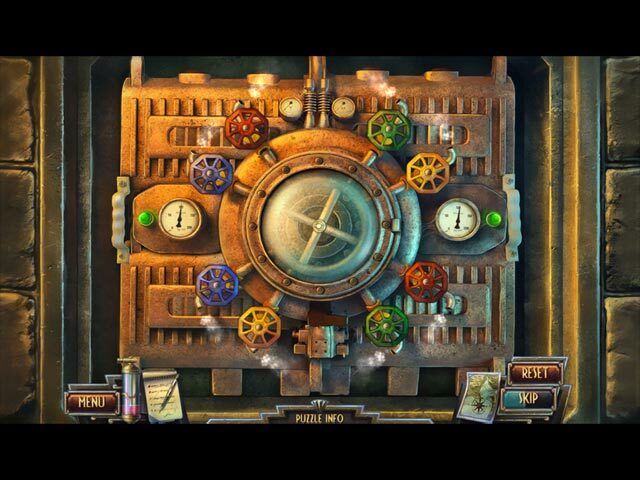 The Hidden Objects were clear for the most part and the rest of the graphics were very clear and rather enjoyable. The sound was extremely good. I enjoyed the music and the voice overs were well done. I know we are getting spoiled with moving lips which this does not have, but they were good and clear. The Hidden Objects ran from easy to, "I can't find the blessed thing!" They were well drawn, but some were very difficult to find and Mr. Hint came in very handy. There were several different kinds of Hidden Objects to find which made it even more interesting. The only difficulty I found with them were the repeats. Several times in the same scene you had to look for the same objects with a new one thrown in for good measure. That was disappointing, but not a game breaker. The mini games also ranged from extremely easy to hard as the devil, but that gave a little bit for everybody. There is a map that does allow for transport around the area, but of little help otherwise. I used the hint if I couldn't figure out what to do or where to go and it refills very quickly, which is another plus in my book. The story was a bit difficult for me to grasp at first. I kept thinking it was going to have something to do with one thing, but was pleasantly surprised with the outcome. The story flowed well and kept its continuity to the ultimate conclusion. I think you will enjoy this game. I purchased it in quandary, but I am so glad I did. Rated 4 out of 5 by jul29 from Great game Loved the storyline. Challenging but fun. Easy to follow. Rated 4 out of 5 by cslats from Good Game The difficulty level is just right to keep me interested but not frustrated, and things move at just the right pace. Rated 4 out of 5 by tesamoine from The Lake is not so Blissful This game has men wandering into a pink shrouded lake and disappearing. Why? The answer lies in the game. Much better SE than it was as a CE. I didn't feel the CE had enough oomph to warrant being a CE. The colors and animation are terrific. Music is wonderful. HOS are very nicely spaced and the last item you find you need to use it to interact with other things. The mini games were original and not difficult. Even I was able to complete them :) The hint system works great if you need it. You do get a journal and a spectral collecting device. The map is done very well. Story is very interesting and kept me wanting more. Enjoy. Rated 3 out of 5 by Alenee from Almost Great Initially I liked the story line of this game: finding a lost fiancee in a holiday resort town. The scenery was appropriate, a mix of magical and creepy. Unfortunately, there were far too few twists and almost all the clues come from reading notes, which is deeply uninteractive and therefore just... boring. For such a long game, it's surprising the creators didn't make more effort to keep the player engaged. Putting the clues together was challenging but not frustrating, with a lot of exploration back and forth. Again this would normally have me interested, but the absence of a storyline to keep me going between clues was a real killer. It took me weeks to finish this because I kept getting bored with it. Rated 3 out of 5 by game_happy from HO HUM Review based on about two hours game play because it was all I could take. Animation/VOS - None that I could see. No lip sync. No vo for player. Characters were well drawn but did not move. IHOS - Clear to dark scenes. Very small objects. Lists and fragmented. Hint - Fast charge. Gives clues and directions. Misclick Penalty - None Journal - Contains items found and objectives. This is about all I got out of it so my review is short. Very disappointed in this one. Rated 3 out of 5 by wolfieoprah from Find Tom Drake Old style detective story, with hidden objects and puzzles. Not very challenging, but an ok game. Rated 2 out of 5 by thebubba from After the demo...nope This review will be short (yep) and sweet (nope). From the get go the surroundings as rendered were mediocre. One reviewer said cartoonish. I prefer Golden Bookish. The game play was nothing out of the box...I found my wire cutters, screw driver, etc. Nevertheless I plodded on thinking to give this game a fair shake but what made matters worse was the trial and error it took while trying to use an item. I know I need a screw driver to loosen a screw and a piece of cheese to lure out a mouse, but how many times should it take to make the item connect with the object? Too many clicks.That was it for me. And there were other errors, but enough said. Two thumbs down. Rated 2 out of 5 by bst2111 from Frustrating I didn't even finish. I wasn't interested anymore. It was frustrating. You go to one scene, click and it takes a second or three to transfer locations. It was just bad. I never review games but I had to say something on this one. Just disappointed with this one. Rated 2 out of 5 by BlackWaterRules from As Bad As The CE Based on the Demo The soundtrack has realistic backyard and background noises. There are several instruments that play redundantly throughout, not an orchestra or a symphony, but one instrument at a time, over and over, with the same boring melody. The graphics are cartoonish which is okay when the comic book looking character Molly Huggins summons the Detective to find her missing fiancee, who has been gone for three days. It seems he has disappeared in a lake, enshrouded by some mysterious pink fog. 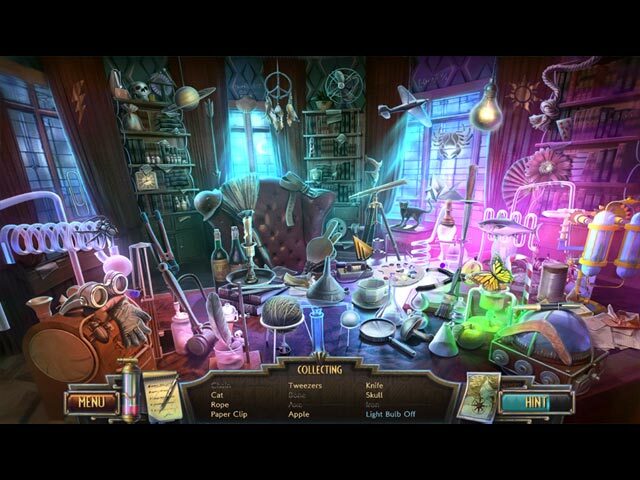 The hidden object scenes are interactive, well done. The mini puzzles were moderately easy. The player gets a journal, a map, and a spectral fluid collector to collect the pink fog so it doesn't burn you or freeze you. There was a terrible lag between scenes and the game moved painfully slow. I couldn't delete it fast enough. Rated 1 out of 5 by Kirland from Glad I Got Through It! Boring and tedious game. The storyline was a good one but I do agree with some of the reviewers that the developers were struggling to finish this one. Should have put it on the shelf and revisited it at some other time. If you enjoy redoing Hidden Objects scenes countless times, then you might enjoy the game. I do not like games that add unneeded time by filling that time up with redoing hidden object scenes. I was so bored, I used the hints to hurry through the game to get it done. Rated 1 out of 5 by sfr8rfan from Do NOT Swim in this Lake! “The world is just full of mysteries waiting to be solved.” Those are the final voiced words of Mysterium: Lake Bliss. With a view to this game, truer words were never spoken. My “judgment” of this game has shifted many times in the last few days. The final judgment must take into account the very fact that it took me several days to finish it. Oh, there was plenty of time to get the job done but I couldn’t make myself play. As I neared the end it struck me that the developers were in a quandary themselves. I have the impression that, like me, they wanted to end the game. Like me, they couldn’t figure out how to. This is not a good recipe for… …FUN FACTOR When I wrote my earlier review for the CE I had finished playing just over an hour. I hadn’t followed my own rules: play the one-hour trial period that’s FREE and then make a decision. Oh well. Now, a Special Edition is produced and I have another opportunity to review the game. I wanted to get this right, so I played the whole game, start to finish before giving you a review. Regrettably, the game became progressively less fun. In my first review I wrote that there’s “nothing wrong with (the game.) It just presents absolutely zero challenge and, consequently, zero fun.” I went on to say the game is not littered with a lot of silly errors. Well, completing the game has allowed me to correct that position. The game is littered with a lot of errors. After a while, these errors were no longer amusing little glitches. They were fatal. VISUAL/SOUND QUALITY Herein lies a prime example of the declining quality of the game. Visuals: At the beginning, the game is actually stunningly beautiful and the artistic renderings make you feel as though you are in a resort town. I loved the ambience. As the game went on, more and more of it was played in a cave, either the deep cave or the upper cave or the cave cave cave and the resort town feeling was lost. The quality of the graphics was poor. Sound Quality: This is the high point of the experience. The music was great. Even when the visuals no longer contributed to the “feel” of the game, the music did. I’m not sure the music was always appropriate for the era or for where I can gather the events were taking place. Nonetheless, the music was great. In addition, the voice-overs are also great. In my first review I wrote that there were very few voice-overs and not a lot of interaction with characters. I was wrong. I’m disappointed that there isn’t lip-synching. Because it’s rarely perfect anyway, some other reviewers whom I respect a lot prefer that lip synching be avoided altogether as it just distracts. I prefer to have it and I prefer for it to be well done. The voice acting, even without lip-synching, is great. One character, in particular is flawless: she plays a secretary with kind of a New York accent and plenty of New York attitude. And, in the background, really jazzy/dinner club music! This was very entertaining. It has nothing to do with Italy, but I was hungry for something to love and this provided it. Part of the uneven nature of the game and the story line rests with the voice-overs I like so much, though. In the game’s introduction, there’s a reference to an “Italian honeymoon” which seemed too expensive for a guy down on his luck. This is very odd. The setting is definitely not in the USA, but Italy? The accents were mainly British, either English or Irish. Oddly, there was a southern accent (US) thrown in and a NY accent and kind of a general Midwestern one as well. I don’t’ know what the purpose was. It just seemed strange to me. The characters with the accents weren’t minor and it seems unlikely that Americans would inhabit this Italian lakeside village as proprietors or residents. I don’t remember a lot of American shop owners at Lake Como!!!! LEVEL OF CHALLENGE HOGs: There are 25 total HOGs, ranging from WAY too easy to unbelievably poor. The very poor ones were generally outlines of items or silhouettes that you had to find in context. These were, to me, very difficult to find and not because they were well-hidden but because they were not clearly drawn. This was a major downer. PUZZLEs: Again, these are way too easy and present no challenge. There's nothing new about the puzzles and they are extremely simple. One example is a puzzle early on in the game, in which you need to set springs to open a suitcase. A three-year old might find this interesting because it requires no skill, only repeated trial and error until you get it right. For an adult, it might be around this time that you decide to give up on the game because you want to play something which tests more that your patience. (That’s what happened to me. The game wasn’t offensive. It just wasn’t substantial). In some cases, little games masquerade as puzzles but the solution is in your journal. One example of this: you finish one puzzle and earn a series of “lucky numbers” for your efforts. A short time later, after all the puzzle “set up” is in place (skip button, “?” button to explain how to solve the puzzle, etc. ), you’re told to apply the numbers that you found in the earlier puzzle, which just happen to be conveniently located in your journal. This can’t possibly count as a puzzle. So I won’t. There are 20 puzzles then, but nearly half of them happen in the first two chapters of the of the 7 chapter game. Don’t be fooled into thinking it’s mini-game after mini-game. It’s not. STORYLINE: Even after playing the whole game, it's a little confusing to me, honestly. Because of the poor HOGs and Puzzles and general lack of challenge in the game I guess the storyline isn't that important. Anyway, you're marrying a guy who's having some career issues. While surprised that your wedding is taking place in this ritzy location, you'll certainly learn to like it. Upon your arrival, after being summoned to the town, you learn your groom-to-be is missing. There are some strange goings-on in the lakeside town and it's not clear why he's gone but at issue is a strange "spectral" material (some pink stuff that, when you encounter it, you collect). If you opt to play the game you’ll get more information to confuse you as you play…or should I say, until you stop playing. About those “silly errors:” On a couple of occasions a pop up monologue said “nothing I’ll need for my investigation (here).” Surprise! While hovering over the area with my mouse, a newly corked bottle of ink ended up in my inventory. And later, same situation ("nothing needed here," the pop up said, a chisel and a magnet made their way into my inventory as well. There’s more: while hovering over one item, a pop up appears: “There’s a hole in each side. Maybe something small fits in them,” it says. This has nothing to do with the item I’m looking at. After trying for however long, I moved to another item. The some pop up appears again. This time it’s appropriate. This is a programming error. There are several other examples of errors. And not the least of them is that this looks like no Italian city I’ve ever been in. In case you really want to buy this game, you have to decide if you want the CE or SE. Here’s what the CE provides: a. The normal assortment of wallpaper, screen savers, music and cut scenes. b. A Bonus Chapter (I’ll admit it, I couldn’t not play for one more second). c. Achievements (nothing special). d. A collectible (nothing particularly appealing: the silhouette of what looks to be a dragonfly, is spread around in a variety of places and it’s your job to collect a;; 54 of them. e. A Strategy Guide I know I’ve gone on way too long with this. Perhaps I need therapy. No way should the game matter so much. I guess I feel like I short-changed those who read my earlier review when I said there was nothing offensive about the game. There is. You have to pay for it. “The world is just full of mysteries waiting to be solved. Time is running out for a worried bride! Locate her groom in a town plagued by mysterious drownings.